10 Tips for Creating PD that Works. This Deck is designed to support districts and entities in thoughtful design of instructional resources and professional development for their staff using iTunes U as a vehicle. 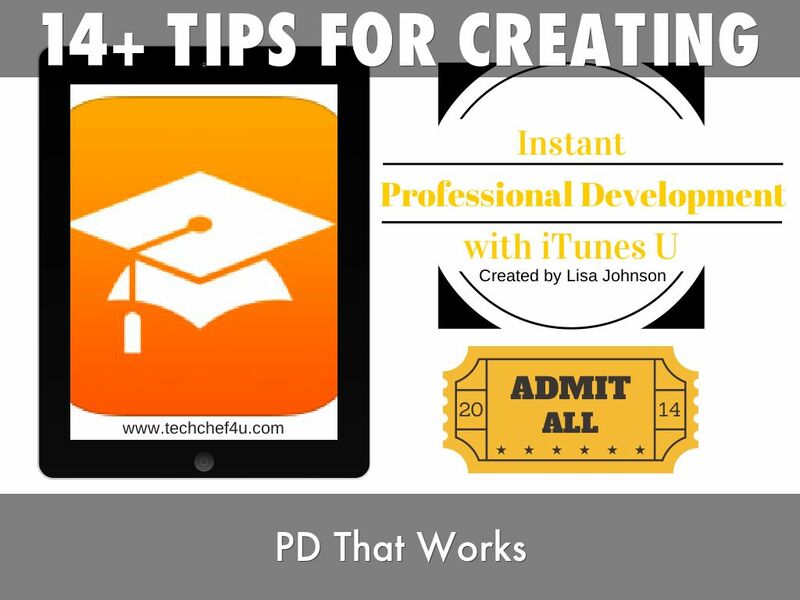 10 Tips for Creating PD that Works (designed by Lisa Johnson). This Deck is designed to support districts and entities in thoughtful design of instructional resources and professional development for their staff using iTunes U as a vehicle. Lisa has 13+ years of educational experience ranging from teaching HS English & MS Math to international curriculum development, creating and presenting workshops, and even running technology integration camps across the state. 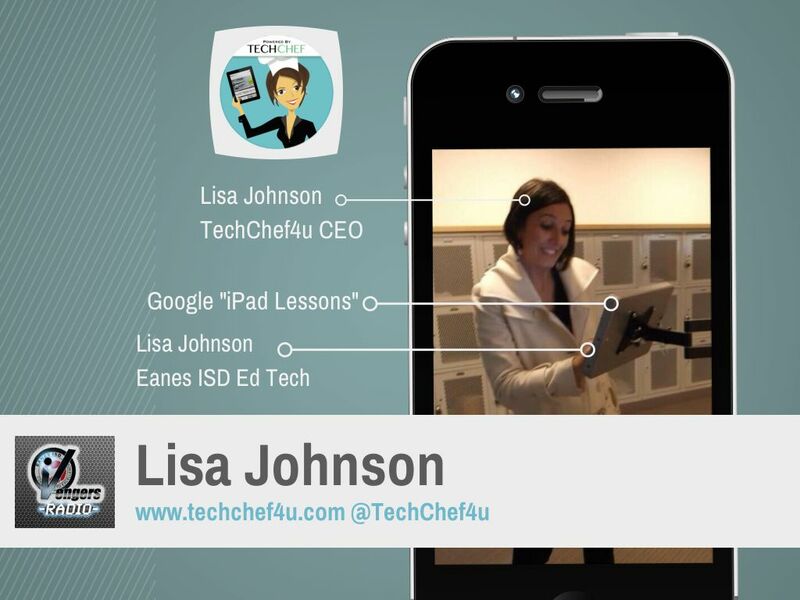 Currently, Lisa serves as an Educational Technologist for Eanes ISD which proudly supports an 1:1 iPad initiative from K-12. Additionally, she has been recognized and selected as an Apple Distinguished Educator. 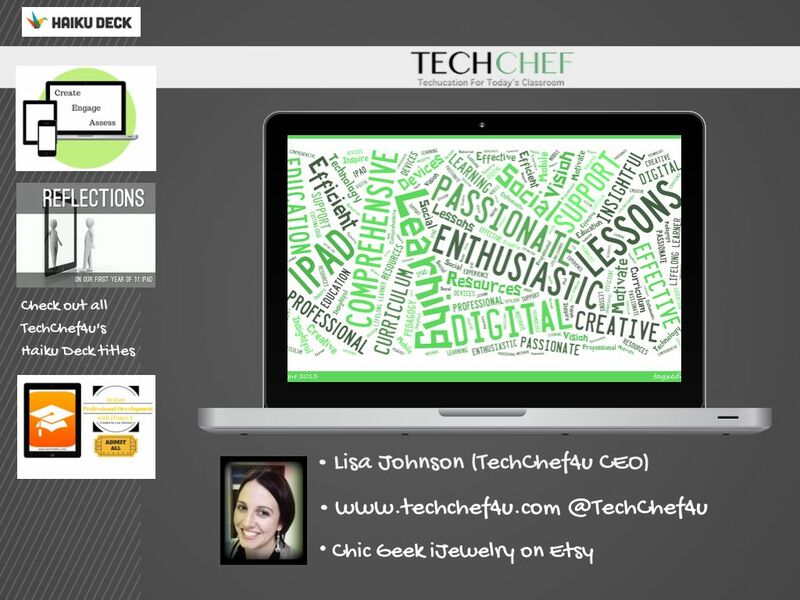 Her love for “cooking up” technology integrated lessons and the need for a creative & productive outlet led her to create the TechChef4u blog in early May of 2011. Lisa continues to share her app-thusiasm for iLearning and purposeful integration of mobile devices in schools districts and conferences worldwide. She feels very strongly about providing authentic and engaging professional development resources across multiple platforms (e.g. Twitter, Pinterest, Facebook, Google+, Thinglink, iTunes U, MailChimp... ) to meet the needs of a diverse population of educators. 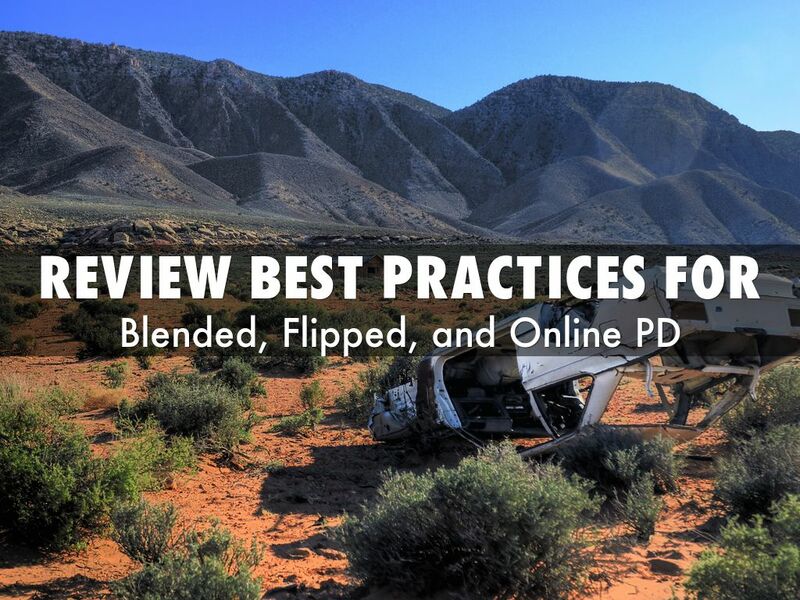 If you deliver the same content in the same fashion with no opportunity for collaboration, communication, creation, and presentation, you may be destined to crash and burn with your PD. 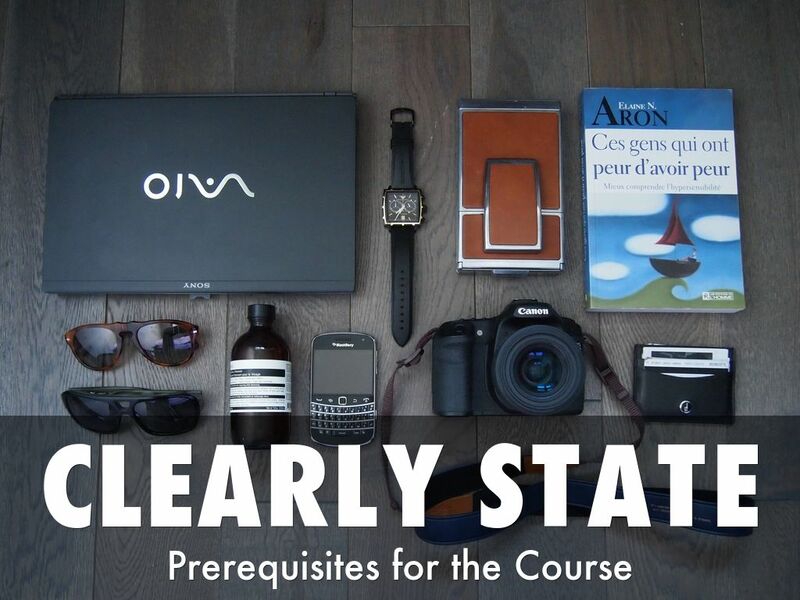 When building a course, many times you will utilize a diverse set of materials. 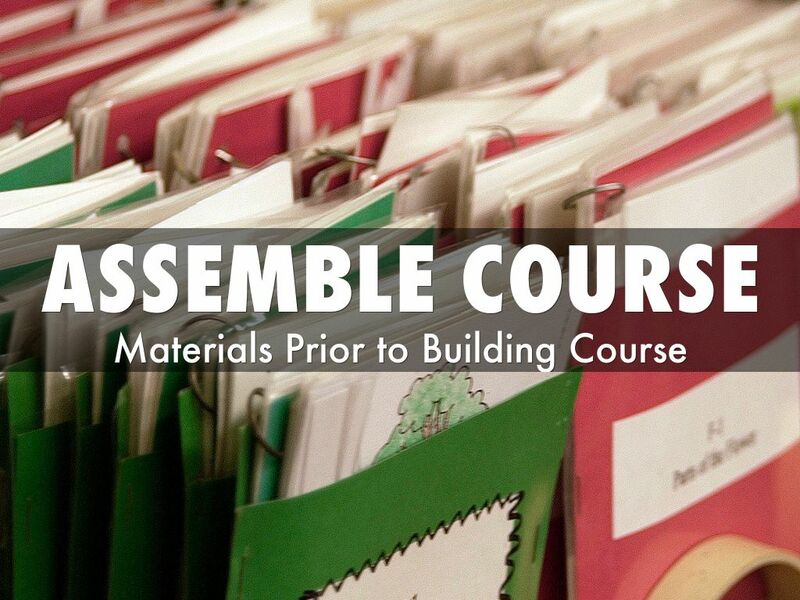 Create a folder for these locally and assemble and organize these resources there prior to building the course. This will make building the course more efficient. What must each learner know or have access to to be successful with the course? - is there software, app, or a school of thought they should have familiarity with? - should they have access to additional peripherals or accessories? - will they need to have an Edmodo, Google, or Dropbox account? 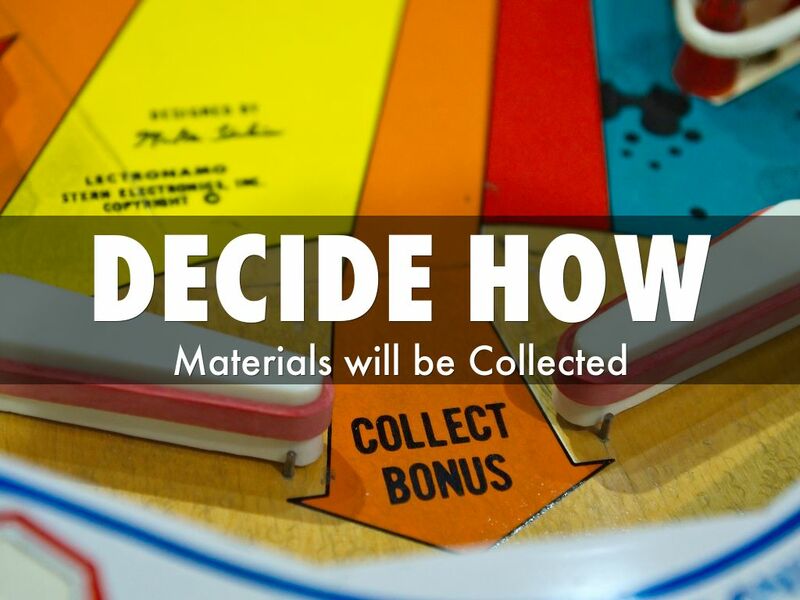 - do they need a certain version of iOS or iPad to complete the assignments or modify content? Outlines are Integral. 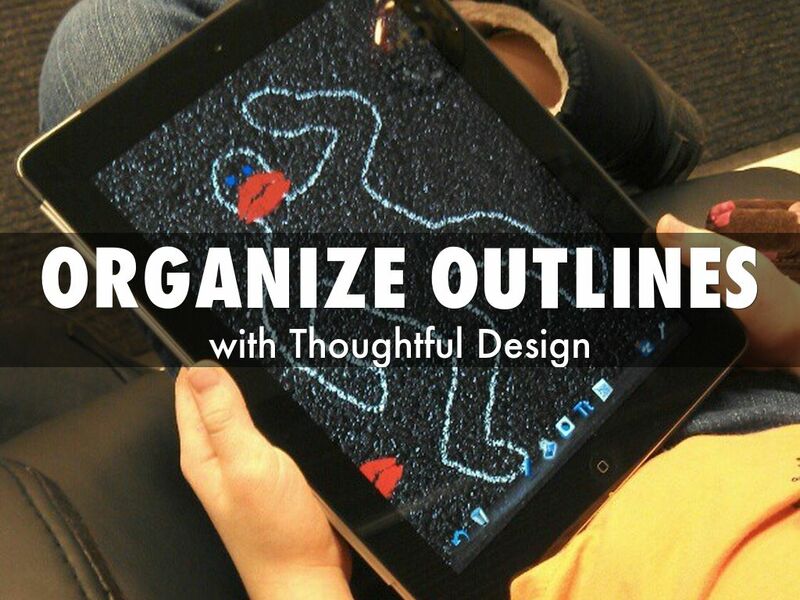 Spend some time really building an outline for a professional development course prior to uploading content. Learners that audit your course with appreciate this time spent on thoughtful design. 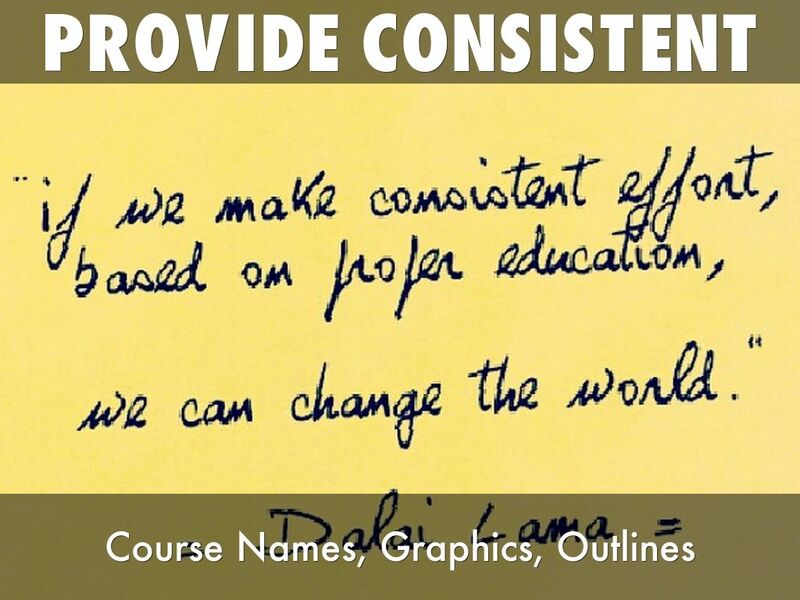 Consistency of Course Titles, Graphics, Layouts, and Outlines makes it easier for learners to locate and digest multiple courses from an institution. While the content may differ, best practices for delivering the content to learners should remain consistent. Consistency colors (school colors) and titles are an easy way to provide continuity. You are essentially branding your content. Learners may utilize the course in a F2F workshop setting or asynchronously audit. Directions for submitting work and digesting the course will differ in these two settings. Consider adding additional information for each setting. 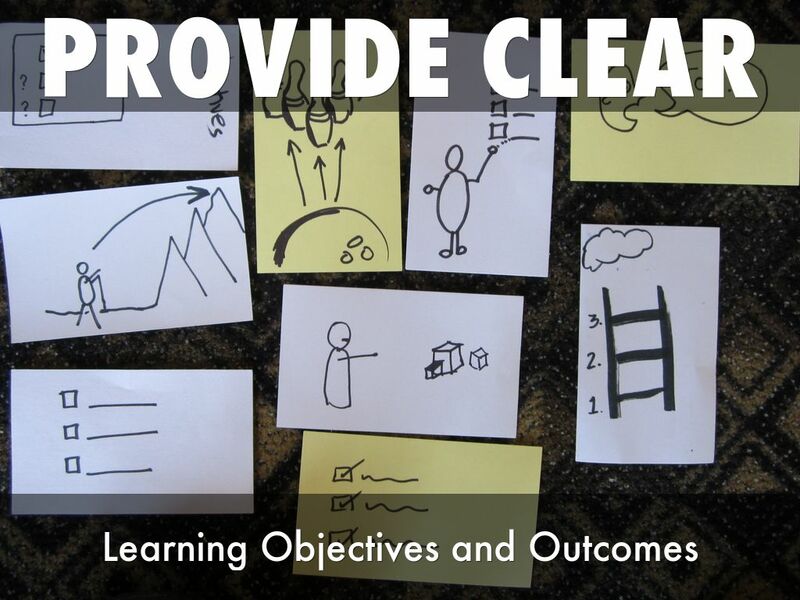 Provide clear outcomes for learners so they have understand what the outcomes of the course will be and what they will be achieving by completing the course. As many iTunes U courses are audited by learners that never meet with an actual professor. 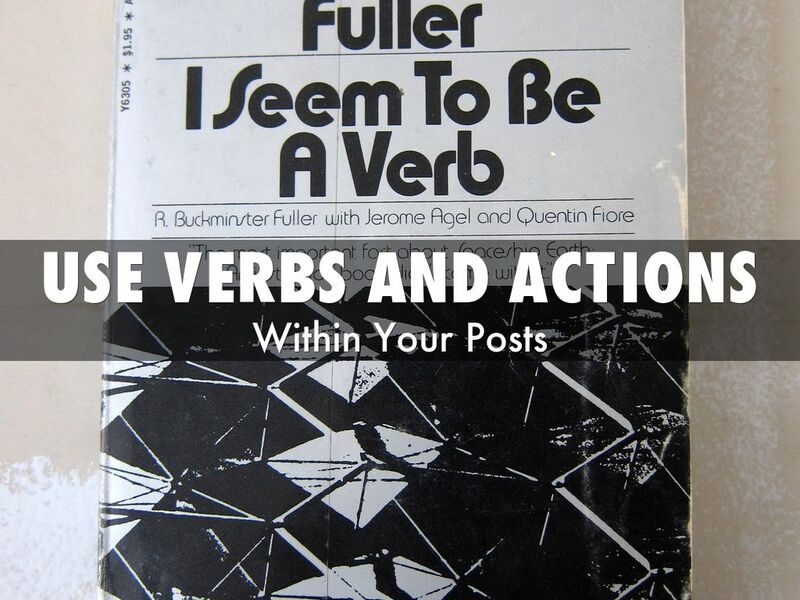 Use Verbs in Actions within your post descriptions and materials to make it very clear what you want learners to do with the materials. 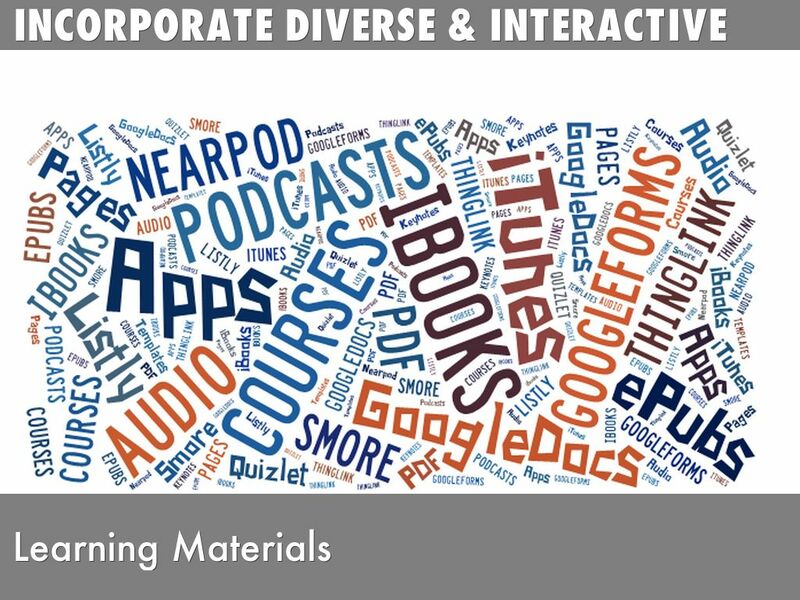 Consider resources that are interactive, editable, collaborative. 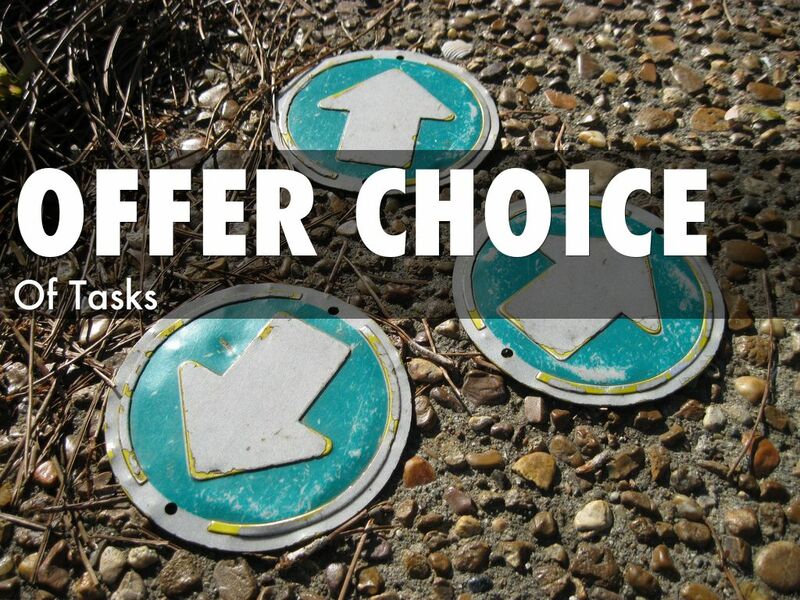 Offer Choice of Tasks through thoughtful task design. 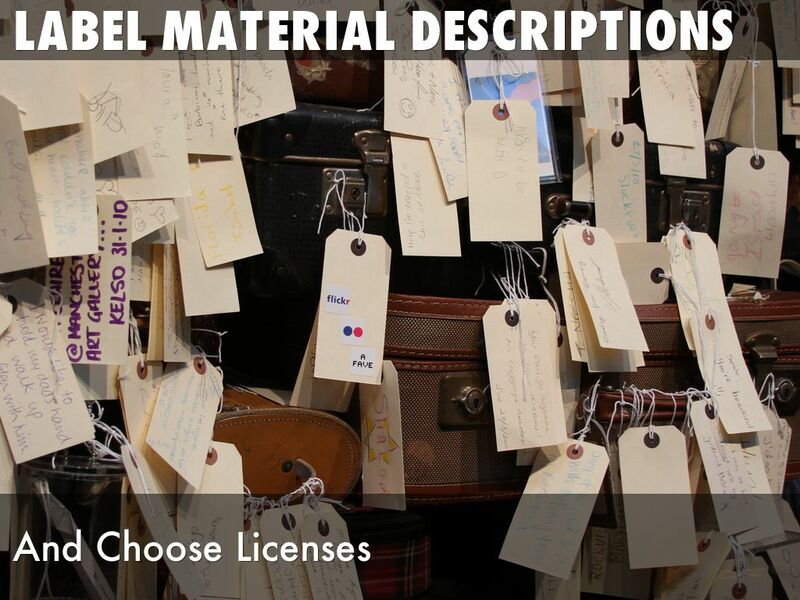 It is important to label all Materials - especially content that is not linkable. All of this content has an author and should be attributed appropriately - with licensing. As most content is being published publicly, I choose the Creative Commons License that is Attribution/NonCommerical/ShareAlike. This goes hand in hand with incorporating diverse and interactive learning materials. 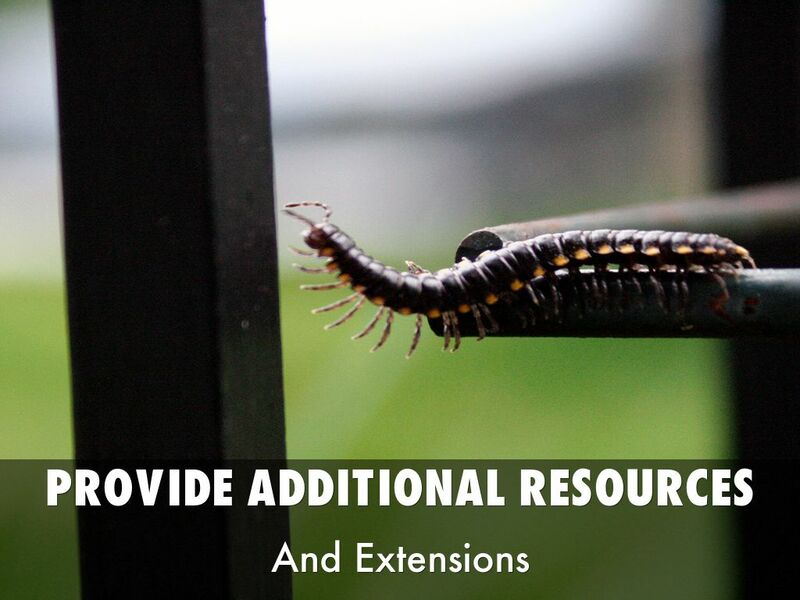 Providing additional resources and extensions helps learners to expand their learning within your course. - What Should Be Added? 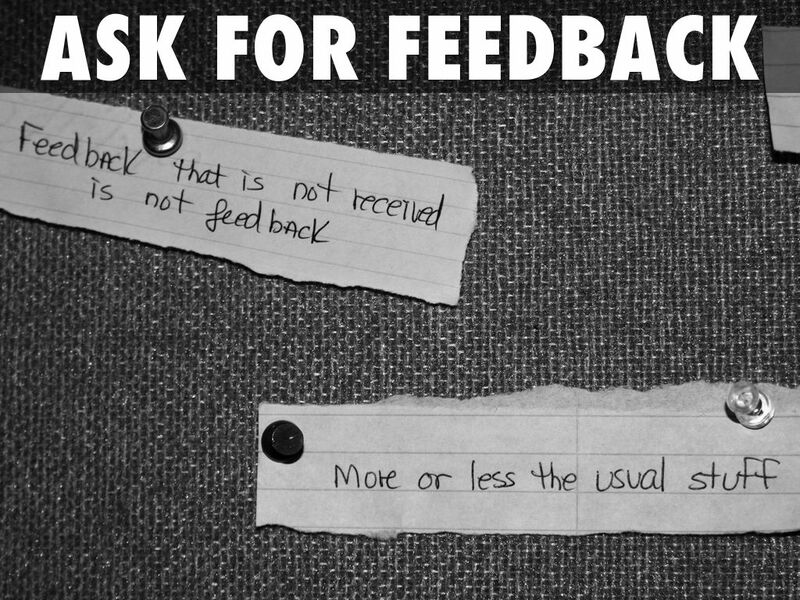 Use the Feedback to revise the course. 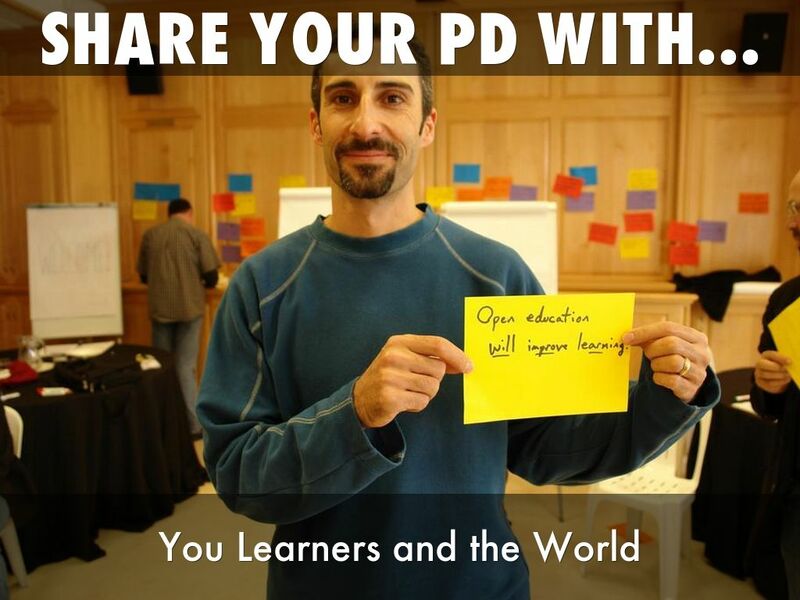 Make your PD Public. This not only impacts your staff and learners but the greater global education system. 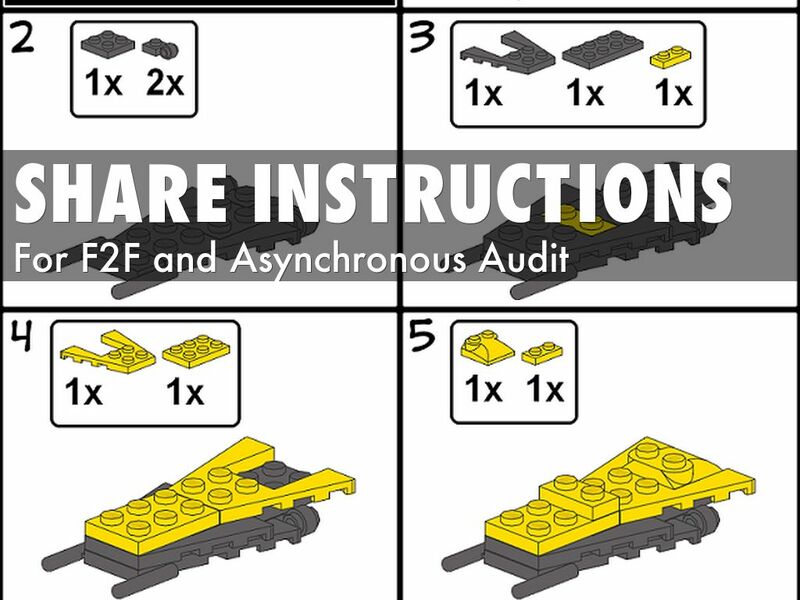 Another option is to duplicate your course and have one version for in house district content and an other version appropriate for a global audience to audit.